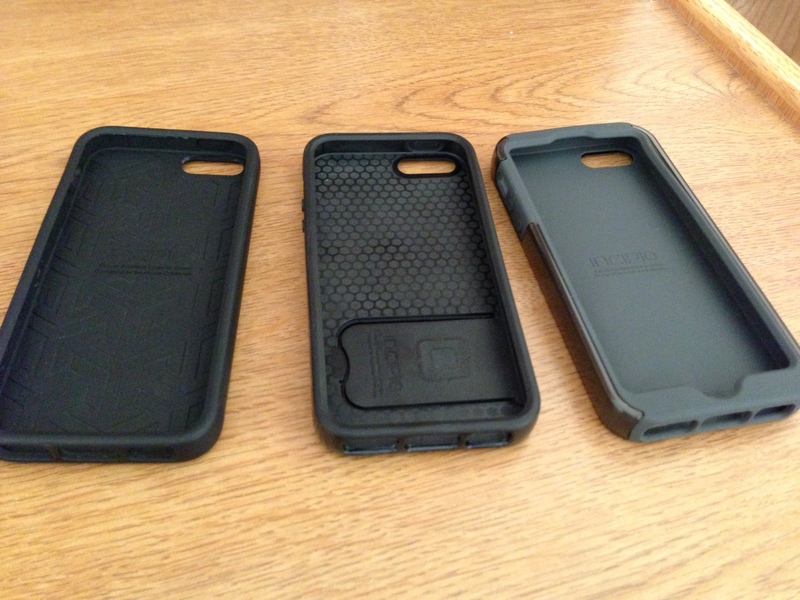 A few weeks ago, Incipio sent us their new line of cases for Apple’s new iPhone 5. We’ve ben testing Incipio’s offerings over the past few weeks, and we’ve decided to share our detailed thoughts on the top three Incipio iPhone 5 cases that we recommend. The Incipio Kicksnap is a very convenient iPhone 5 case as it offers a built-in kickstand. On the back of the case, there is a little area to open the flap for the kickstand. 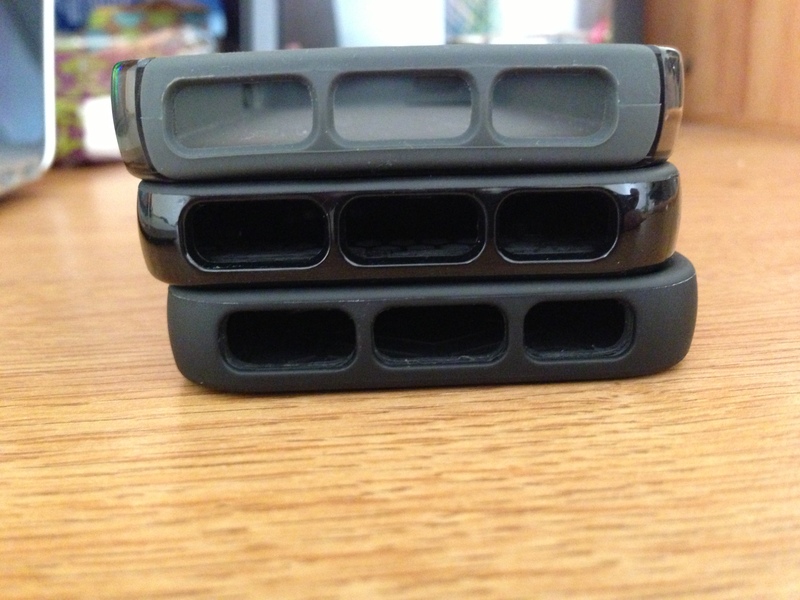 The kickstand works very well for watching video on the large iPhone 5 display, and the stand is very reliable for that. Some kickstands that we’ve seen for other devices do not work so well, they either fall quickly or break easily. However, we’ve had neither of these problems. If you try pulling back on the flap, you’ll have a hard time breaking it, so it should provide some solid use for a while. 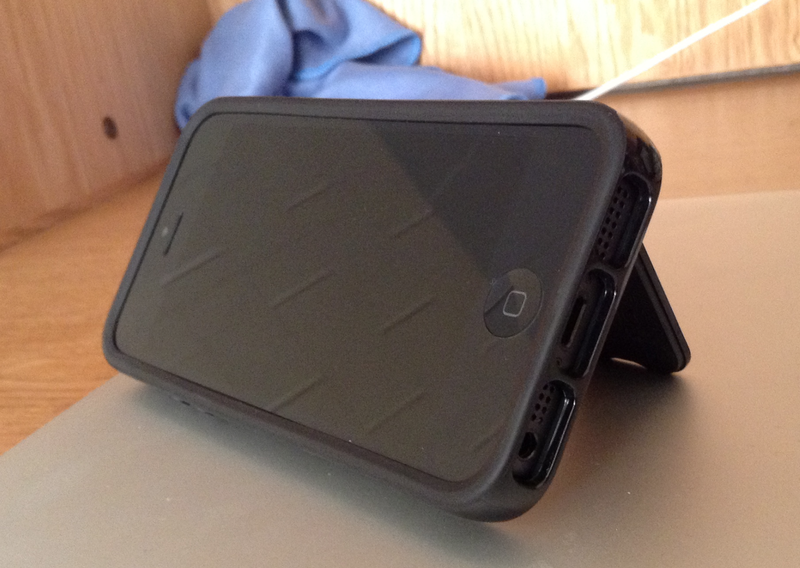 Besides having a stand, the case is very protective with its relatively-hard plastic back and sides. Cutouts are present for the camera system, audio controls, Lightning connector, and speakers. However, the front is not very protected, though the bezel of the case is raised so if you drop your iPhone on its front, it would not be directly impacted. We recommend this Incipio Kicksnap case for those who want basic protection for the iPhone 5, but who also want a great and convenient kickstand feature. We tested the black version, but it comes in white as well. 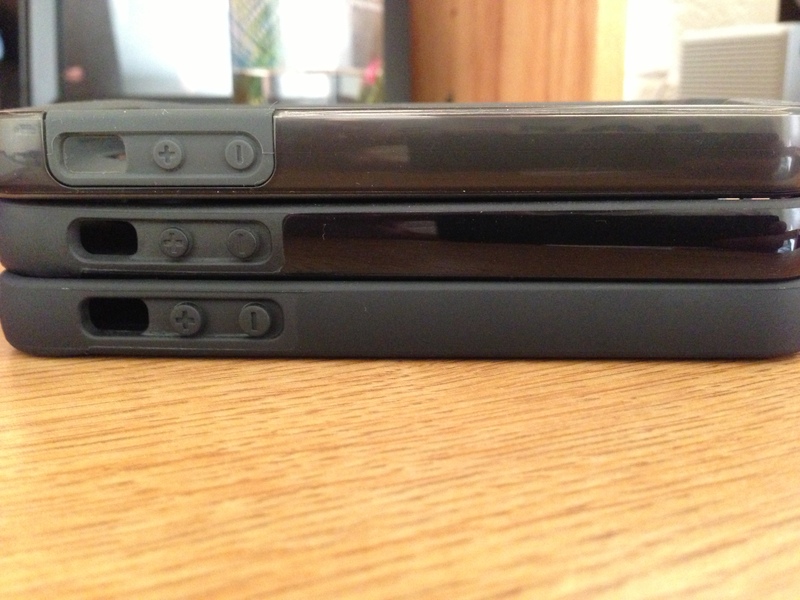 The DualPro SHINE for iPhone 5 features a similar concept as the Otterbox cases that we’ve reviewed previously. The case features two levels of protection: an inner-silicone holder for your iPhone that protects against your iPhone 5 being directly impacted. This inner piece also protects the sides of your iPhone from being scratched or dented by the outer hard-plastic shell upon impact. While the case features those two levels of protection, it does so in a fairly thin package compared to Otterbox’s multi-layered Defender solution. At the same time, though, we believe that Otterbox’s multi-layer approach offers more protection than Incipio’s. Though, Incipio offers its protection in a thinner design, so it is up to the customer if they want thinner and medium-level protection, or thicker and more heavy-duty protection. 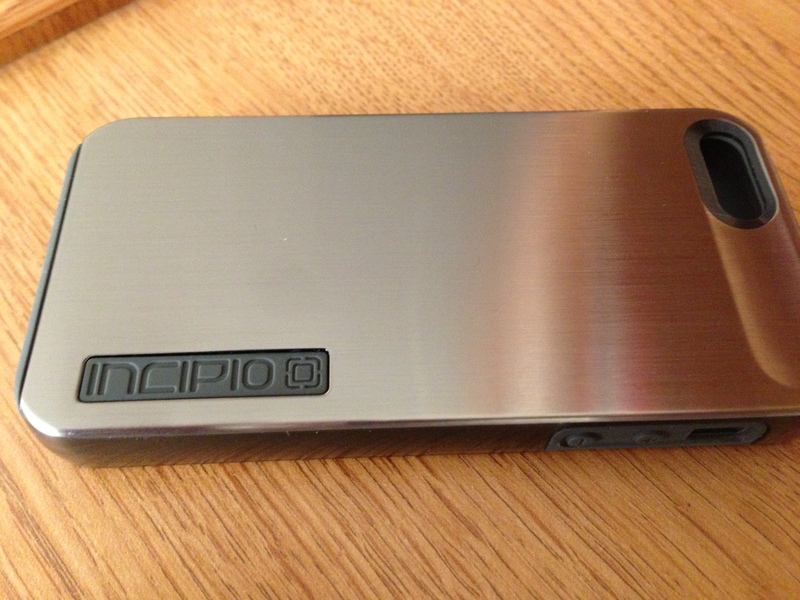 Additionally, The DualPro SHINE comes in multiple shiny colors that mimic the appearance of brushed metal. 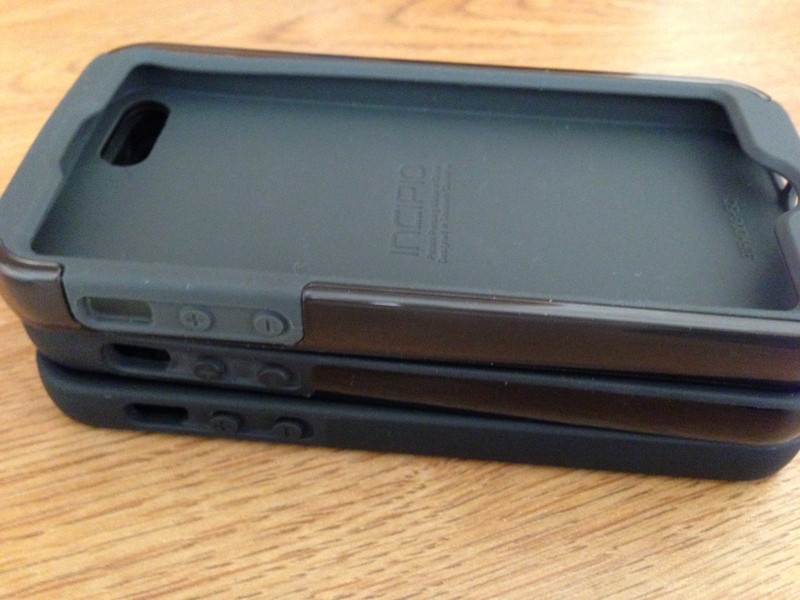 Overall, the Incipio OVRMLD appears to be a very simple iPhone 5 case. However, it is very protective for its overall size and weight. The case is fairly thin and very light, but it is made out of a very hard, yet slightly flexible, plastic material. The case is very protective against drops and scratches to the sides and back of your iPhone 5. However, like the Kicksnap, the front protection isn’t great, but it should do the job for those looking for medium-level iPhone 5 protection. The case features openings for the camera and flash, volume controls, and speakers/Lightning section of the iPhone 5. Unlike the shiny-backed Kicksnap, the plastic material is matte, so the case itself will be less susceptible to scratches itself. We reccommend the OVRMLD for those who want a simple, light, and thin iPhone 5 case that offers medium-level, not heavy-duty protection. Incipio’s cases also come with a screen protector and a cleaning cloth, which is a nice protective bonus.